Expressive, Photography, Resource, Teaching Practice, Ya Big Showoff! The astonishing drawing above was created by my friend and colleague, Val Hamilton. She is the Principal Teacher of Art & Design at Oban High School. It was created in the app ProCreate, on an iPad. 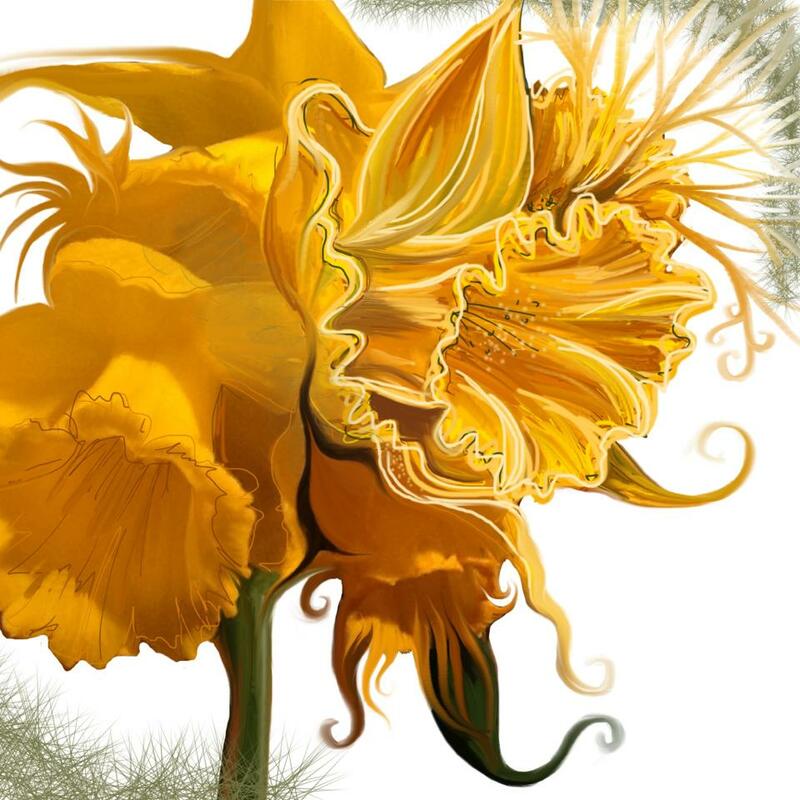 Val took a photo of some daffodils, imported it into ProCreate, then used the tools available such as smudge, fill, paintbrush and eraser to manipulate and create the detailed and interesting image above. I really like how the image slowly becomes more painterly as your eyes browse across the work, we are forced to look around the work, deciding if the image is a photograph or not, trying to figure out if the image is real or created. Well, it’s both, a sum greater than each of its parts. If you have an iPad, try it out yourself and email me the result.